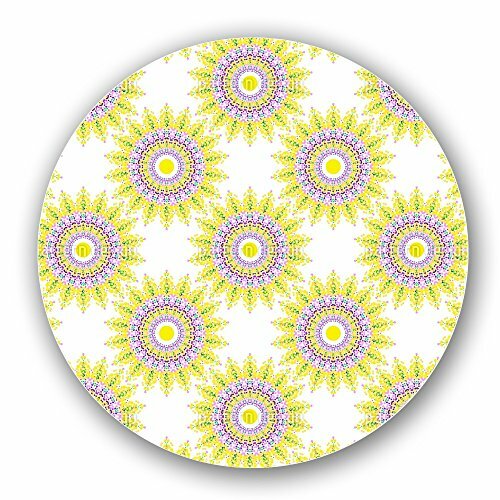 Design By Svetlana Bataenkova, patterndesigns.com Bright and sunny pattern with mandala design made out of dots. sides are not printed and are plain wood finish. guaranteed not to chip or peel. easy clean with a damp cloth and vinegar.